Extending UDL into iOS app selection, utilization and implementation…. What are some ways we can use these principles for selecting, using and implementing iOS apps? What are some apps that are good examples of these principles? 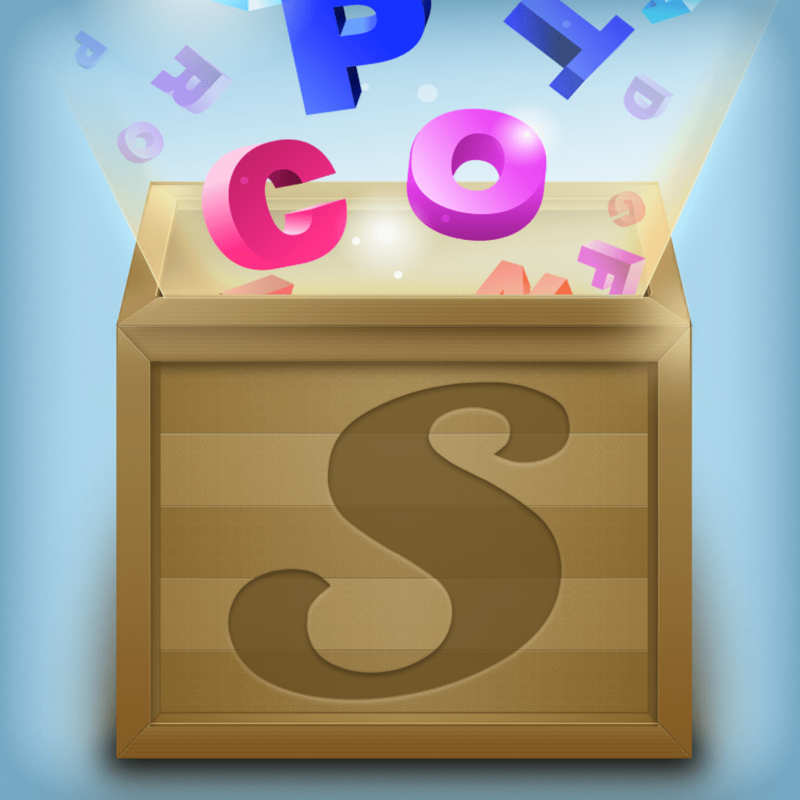 Word Wizard is a movable phonics alphabet. You can select the type of background you would like to use along with an A to Z or QWERTY style keyboard layout. 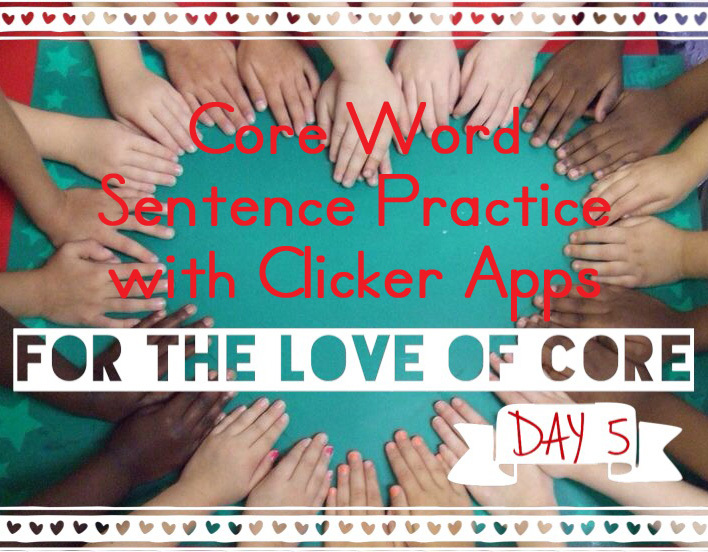 Build words, phrases and even sentences. 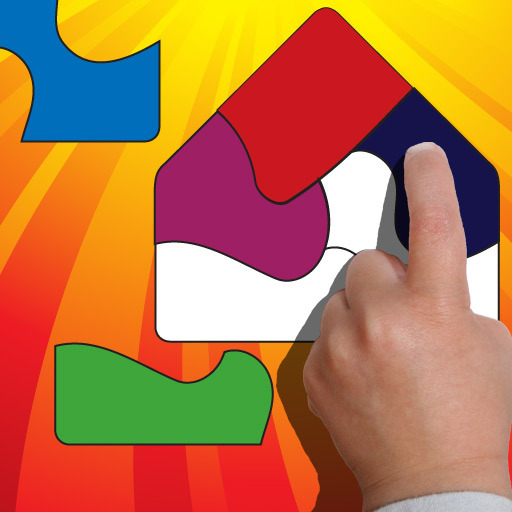 Video Demo Shape Builder is a visual spatial fine motor app. Mags has always loved this app. It is equally fun on both iPod / iPhone and iPad. Move the shapes and match to outline sample to reveal animals, objects, musical instruments and more. Video Demo I have blogged about Bitsboard in the past. With unlimited customization of lesson content for any learner, you can have multiple modes of representation of curriculum or objectives. 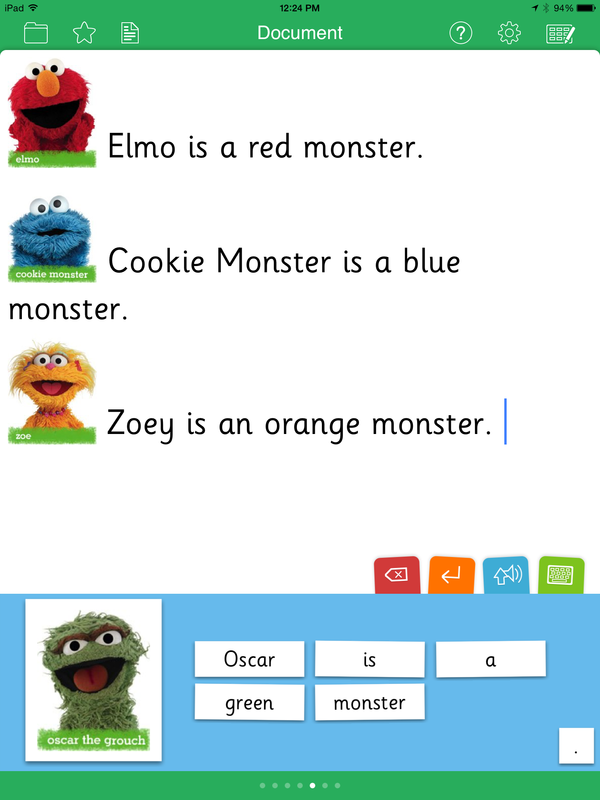 Flip through vocabulary sets one item at a time, spell items, build sentences and more. Video Demo See.Touch.Learn is a great way to make to custom receptive ID lessons for followup on ABA therapy targets. A huge library of photos and images is included along with an online community where vocabulary sets and lessons can be shared. Data tracking allows for monitoring of student progress. Video Demo SpeechBox was created by a dad for his son with apraxia. It is so clever and visually appealing. 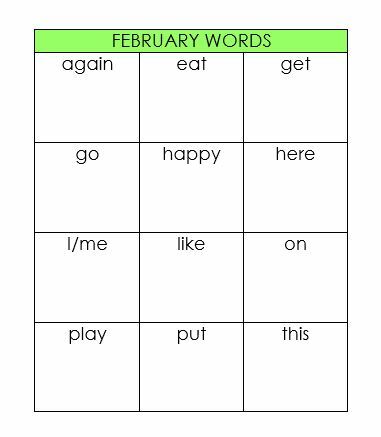 Not only can you work on practicing words, but you can your own ‘boxes’ of content to use as writing prompts or conversation starters. Video Demo Abilipad is a writing support app. You can create your own custom keyboards with letters, words, even photos to support beginning or more advanced writers who can benefit from visual and text supports. Notebooks and keyboards can be shared in an online community. 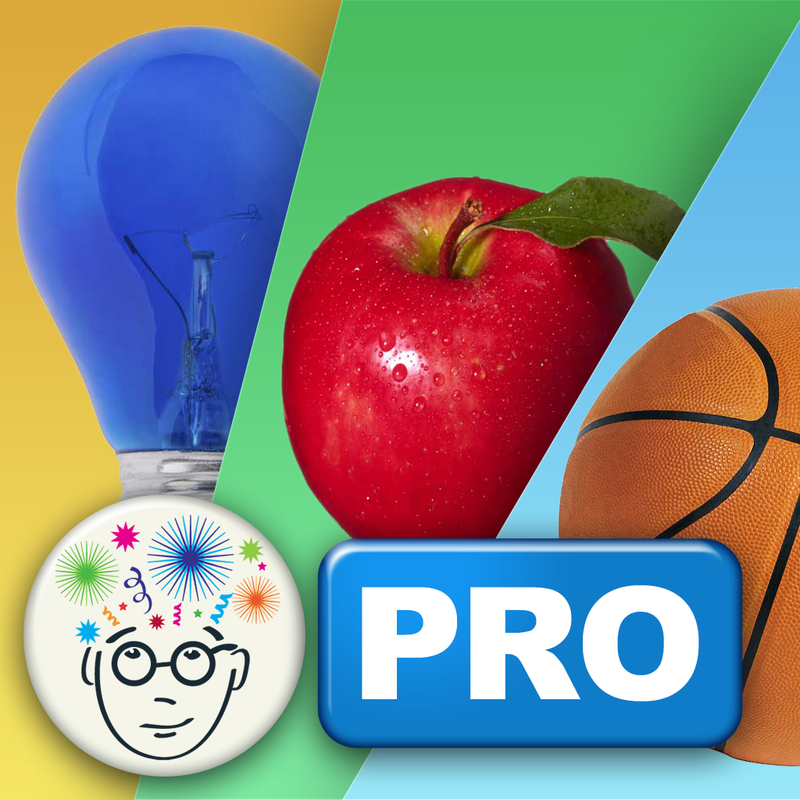 Video Demo Clicker from Crick has been known as an outstanding reading and writing support software for Mac and Windows. 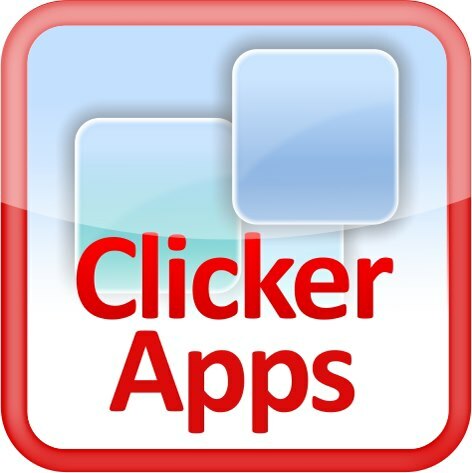 Features from Clicker can now be accessed on iOS with their apps: Clicker Sentences, Clicker Books, Clicker Docs and Clicker Connect. App comparison chart can be found here. Video Demo Co:Writer software by Don Johnston has been available for Mac and Windows as a writing support for students for years. Co:Writer app for iOS incorporates many of the same features as the software for use on iPad. Users can benefit from audio and visual cues. Text predication and text to speech help to support writing and communication. Video Demo Use DropBox to access photos, files, and reference documents on any almost any computer, tablet or device. More and more apps are starting to feature DropBox integration for easy sharing and archival of customized content. See previous post on DropBox here. Video Demo Google Drive aka Google Docs is an online cloud-based software suite with both file storage and apps for producing spreadsheets, word processing documents and presentations. 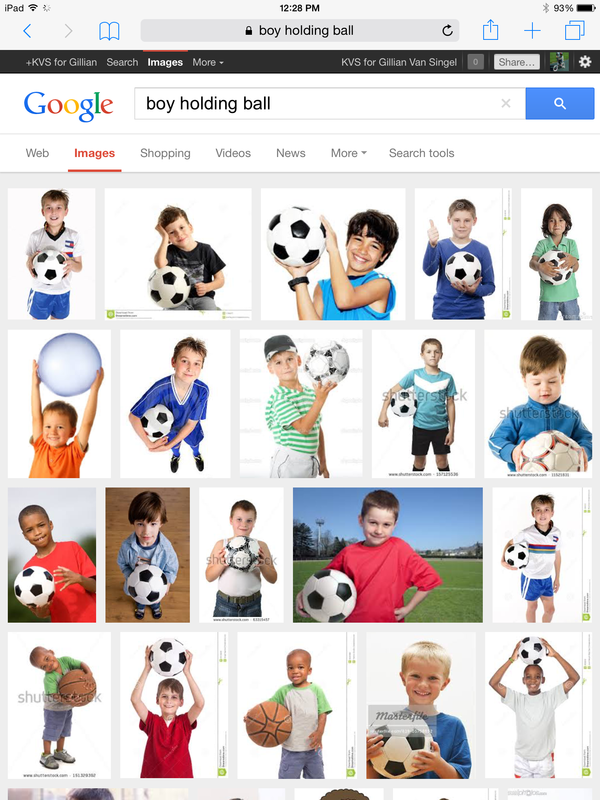 Extending UDL into Assistive Technology…. This means that thinking about UDL principles within the context of teaching should drive us to continually address and consider the What, How and Why of learning in our efforts to reach and enrich all learners. 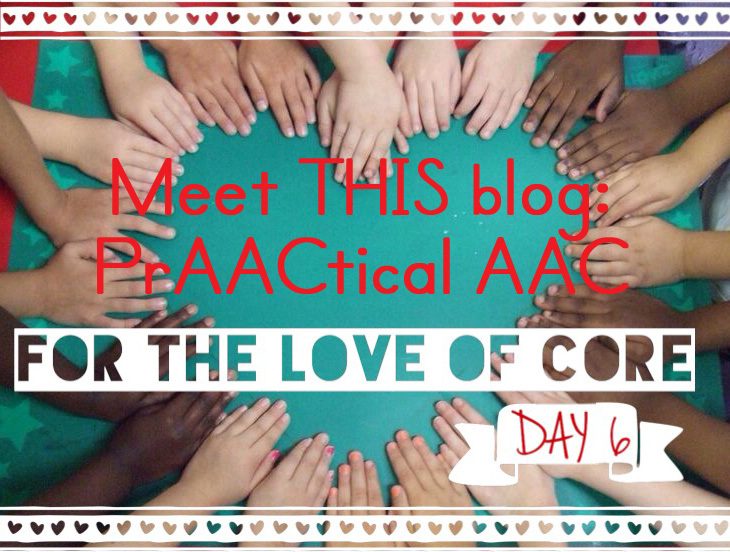 When I think of how this can help learners with diverse abilities, things like the importance of multi-sensory approaches, using a variety of learning materials and harnessing the power of instructional and assistive technologies comes to mind. Assistive Technology is not automatically UDL. Assistive Technology can help create opportunities for students to perform at their best while it implements principles of UDL to improve the overall learning process. “The use of technology provides clear advantages to those who wish to provide flexible, supportive, and adjustable learning and productivity experiences to all learners” (Hitchcock & Stahl, 2003). You’ll never be bored with ‘Bitsboard’…..
Time for an update on a great app from Grasshopperapps.com. Back in November, I posted about Bitsboard. There are now even more games and features in this app, and even a low-cost pro version, priced at $2.99. Within Bitsboard, you can share customized boards and learning lessons so that you can easily access them from multiple devices. With the Pro version, you can also track data for multiple users. The app developer also has a comprehensive getting started guide. Create custom content for any level user. You’ll never be bored with Bitsboard. Dude!….Where’s my iPad? iPod? iPhone? Don’t you hate it when you can’t find something? Seems like every time something is lost you can’t find it until you stop looking for it. Or as I read on facebook earlier this week…it’s not really not until your mom can’t find it. In the case of iOS devices, there’s an app for that: Find My iPhone by Apple. 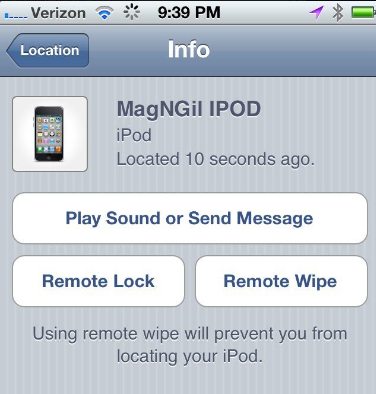 It’s the ‘mom’ of all useful apps when it comes to knowing where your devices are. This is a must install app for any of your iOS devices. As long as the device you are looking for still has a charge left and is pinging WiFi or 3G/4G you will have a smile so wide when you locate your iPhone, iPad or iPod. Find My iPhone comes in very handy. Whether a device is stuck between the couch cushions or left behind at school or the library, you can find it easily with this app. The app allows you the see the location of all your iOS devices on any of your iOS devices. From within the app, you can make the lost device play a sound, almost like a homing beacon. You can also send a message to the lost device, remotely lock the device and even erase it if you think it has been stolen. The other day I noticed that the iPad had not come home in the backpack. I turned on the app on my phone and could see on the map in app that the device was located at our elementary school ….phew! A very welcome sight to see. Now granted it cannot be of help when the battery has died on the device. But it still knows you are looking for it. So even if the device is stolen and someone then later starts to charge it up, you can still be notified of its whereabouts once it again has power and is pinging WiFi or 3G/4G. For almost a week we searched for our first ever acquired iOS device, our iPod touch 3G. It was likely in the house somewhere and the battery was dead. The mother of all apps could not help at this point. And in true fashion it was found after we stopped looking for it. It had been ‘stored’ for awhile in am empty shoebox at the top of the stairs. Hmmm…I wonder who could have put it there? But the cool thing was I could see the find request was still received by the iPod touch as soon as I started to charge the device. I also received a ‘found alert’ to my iPhone. Reassurance that the mother of all apps does know. So glad we found the iPod after we stopped looking for it. And that ‘mom’ still knew where it was all along. Grasshoppers, Apps and Alligators….Oh My! Highly educational and affordable. They hit this spot on. Outstanding design and…..wait for it….most of their apps are FREE or 99 cents. Use of real photographs on a simple white background make this app a model example of an app designed for children with autism or other special needs. There are minimal distractions for the receptive language ID task at hand. There are also visual and auditory cues that encourage error-less teaching. As the user makes a correct response, the field of objects to identify are increased with each trial, so that the skill level is also increasing. The customization options in each of their apps is also key: you can add your own pictures and sound bytes to build a personal experience. The dragging and dropping of letter tiles helps reinforce matching skills, phonic sounds, and letter order. 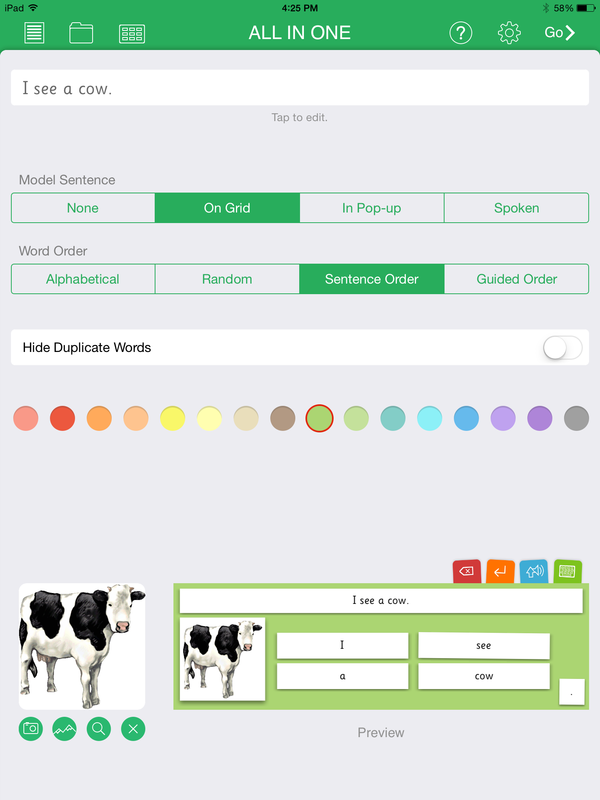 Like all of their apps, Little Speller can be customized to any user. You can turn off sounds, hints and even remove the picture cue. Before the use of this app, a low-tech flip visual schedule was used to help her learn the names of various places in the school building. It worked–but eventually Gilly would ‘tune out’ on the morning walk and require numerous prompts to look at / point to items in the flip book. After introducing Sentence Maker customized with the phrases describing the various stops along the walk, the prompt level decreased. She could independently and purposely build very meaningful and related sentences to the learning activity. The fine motor planning aspects of Sentence Maker helped Gilly to maintain attention and focus. One of the latest and greatest from this developer is their new app: Bitsboard. It is what I would call a ‘portal app’ if that makes sense. Check out this review of Bitsboard over at SmartAppsforKids.com. 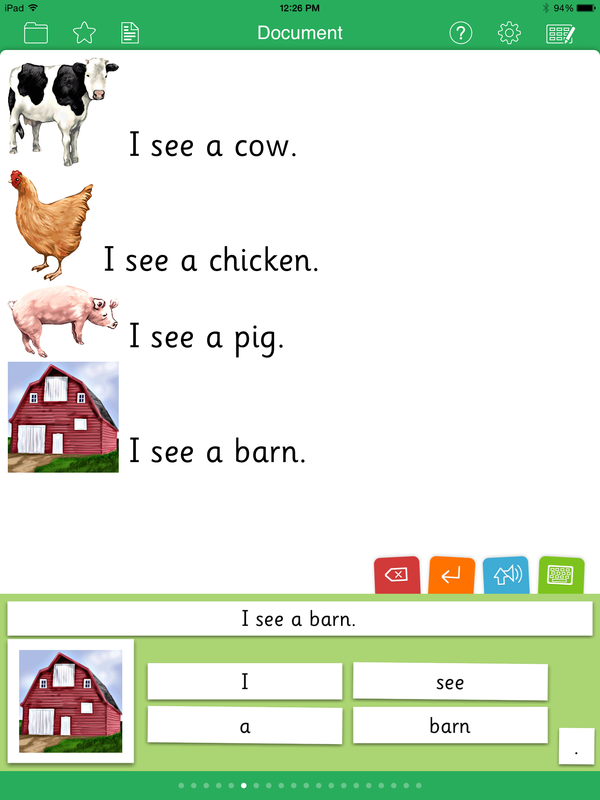 This app contains hundreds of different flashcard sets that can be downloaded within the app. The developer has also added the first of many great features and updates to come: the ‘Photo Touch’ game setting: allowing your desired flashcard sets to become a receptive ID activity. It would not surprise me if eventually games such as ‘Little Speller’ or ‘Sentence Maker’ are made available in future updates. It looks like Bitsboard is eventually growing up to be the ‘Big Kahuna’ residence of many great apps from this company. And guess what….wait for it….it is FREE.